258 pages | 4 B/W Illus. M. Sridhar is former Professor, Department of English at the University of Hyderabad, India and is currently Secretary of the Alladi Memorial Trust that renders educational, medical and legal help to the underprivileged. With experience of teaching English at higher secondary and research levels for more than two decades, he is now engaged in teaching school children. He has keen interest in multilingualism and linguistic creativity, and has published in the areas of language, English literature, comparative literature and literary theory. Sunita Mishra is Professor, Centre for English Language Studies at the University of Hyderabad, India. She has published on communication skills, discourse analysis, English in India and English language education. 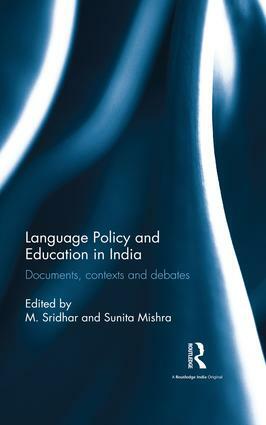 Presently, she is working on the history of English language education in India and critical pedagogy.